Have you been searching for a vehicle that can seat up to eight passengers with ease and still carry a large amount of cargo? If so, head over to Tameron Honda Gadsden in Gadsden, AL. We house a vast array of Hondas for motorists to explore including the 2016 Honda Odyssey. Tameron Honda Gadsden has served Jacksonville, Oxford, Anniston, and Lake Guntersville, AL for a number of years as one of the state’s top-ranked Honda dealerships. Visit our dealership today and see how the new Odyssey fits into your lifestyle. 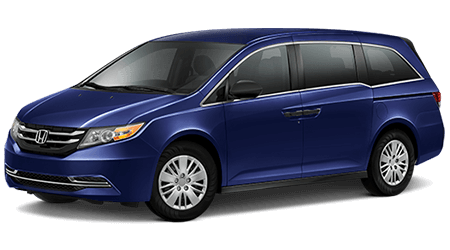 There are a lot of excellent options in the minivan segment, so let’s compare the 2016 Honda Odyssey against the Toyota Sienna. Minivans shine at being used on a regular basis. To provide you with a comfortable ride and to save you money on fuel, the Odyssey has a fuel-efficient powertrain. The Odyssey is equipped with a 3.5L V6 that is matched to a six-speed automatic transmission. 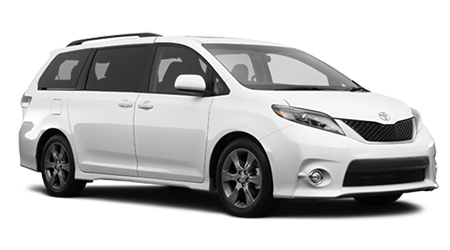 In comparison, the Sienna also comes with a 3.5L V6 that is paired to a six-speed automatic transmission. The Odyssey can return 19/28 mpg (city/hwy), while the Sienna is capable of achieving 18/25 mpg (city/hwy). Minivans are some of the safest vehicles on the road today. To give you the confidence to use the Odyssey on a regular basis, Honda packed the minivan with a lengthy list of safety features. The Odyssey comes with Forward Collision Warning (FCW), Lane Departure Warning (LDW), a Multi-Angle rearview camera, Road Departure Mitigation (RDM), SmartVent front side airbags and more. The minivan segment is filled with a lot of excellent options for motorists to choose from, but the 2016 Honda Odyssey is one of the best options available today. When comparing the Odyssey against the Toyota Sienna, the Honda has the edge with its fuel-efficient powertrain and safety features. Visit Tameron Honda Gadsden in Gadsden, AL today and explore the Odyssey close to Jacksonville, Oxford, Anniston, and Lake Guntersville, AL.